Looking for a stone like color for your studio? Sahara Sands Elements™glaze is just right! This glaze has nice neutral tones that are perfect for earthy art! Inspired by aspects of nature, Elements™and Elements™Chunkies produce lush, organic, and earthy hues. 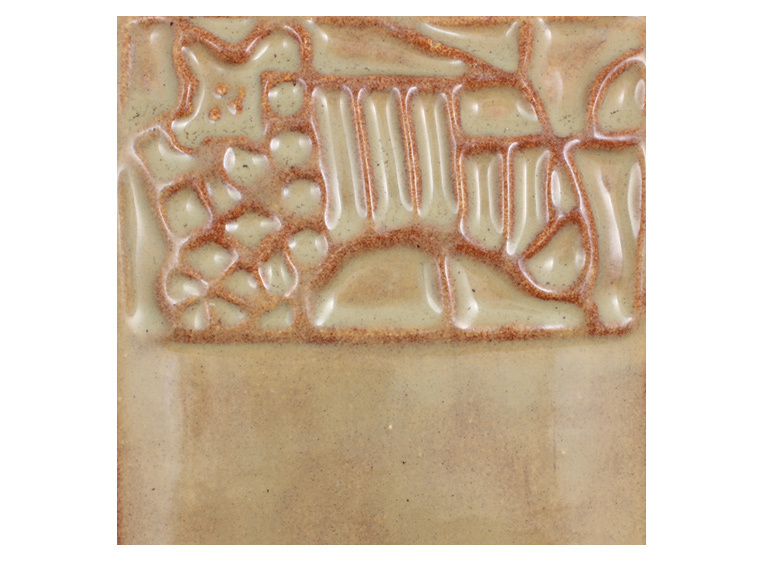 This high performance art glaze gives the artist a wide variety of options in one product as application, firing temperature and shape will influence the outcome. Elements™and Elements™Chunkies were designed to simulate the aesthetic, movement and interest of mid-range and high fire glazes in a cone 06/05 oxidation kiln firing. Elements™and Elements™Chunkies are designed to mature at cone 06/05. Apply 2-3 coats to shelf cone 04 bisque, allow to dry between coats. As movement and flowing are characteristics of these glazes, taper off toward the bottom of the ware to prevent glazes running off the piece onto kiln shelves. Elements™and Elements™Chunkies can be fired at higher temperatures but will change in appearance. We recommend testing prior to use.